Luke has done a ton of fresh water fishing and from the looks here he is not too shabby in the salt water either! 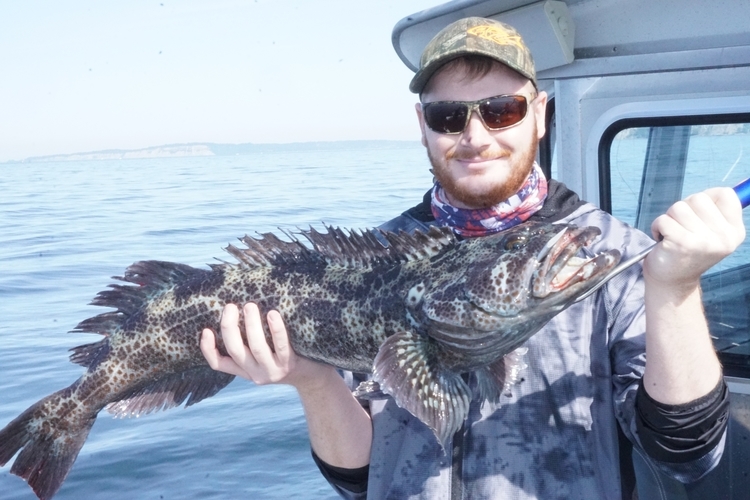 A beautiful 35 inch Lingcod. The legal limit is 26 to 36 inches making Luke's fish about as big as you can legally keep.